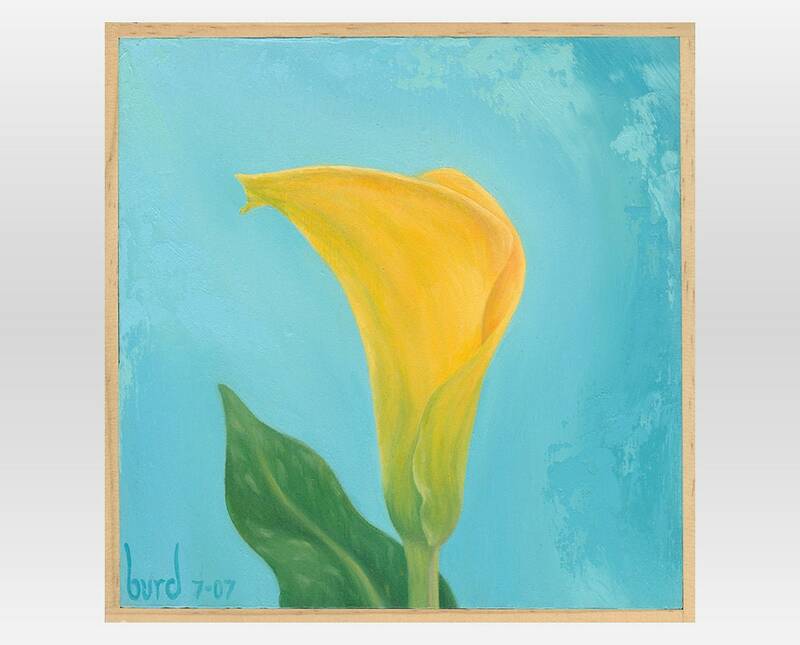 Bright yellow Sunshine Calla Lily flower on sky blue textured background. Original oil painting on wood, framed. This 8x8 flower series is painted on primed 3\/4" cabinet grade plywood and finished with a protective varnish. It is framed with simple natural varnished lattice 1 1\/4" deep and is ready to hang or stand upright. This is a one-of-a-kind original piece of artwork, hand titled and signed on the back.